This is a beautifully elegant thank you card. 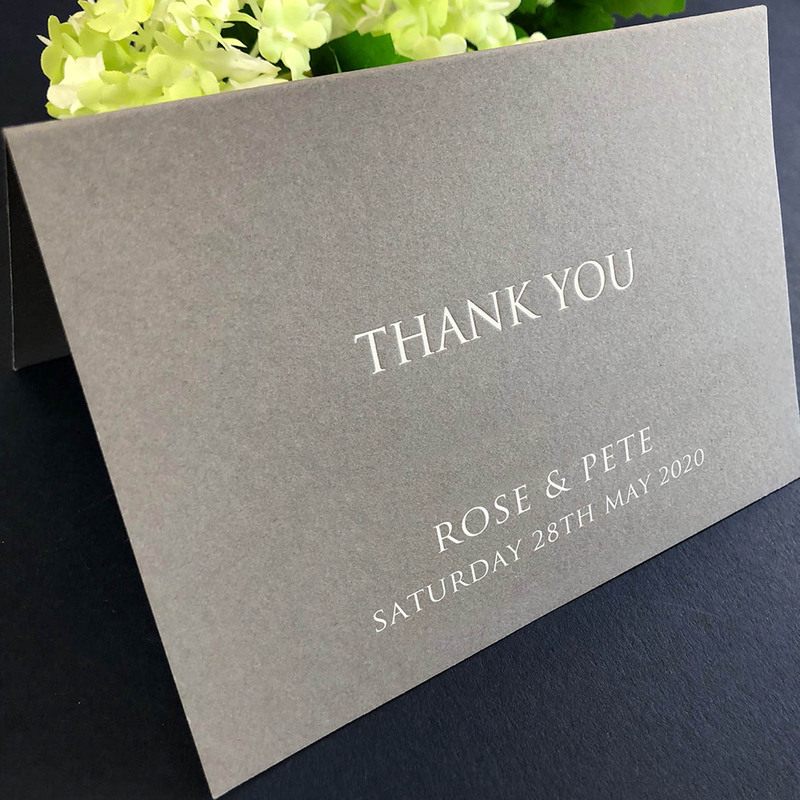 Gorgeous white foil in Trajan typeface is letterpressed onto luscious dark grey card to produce a really stunning thank you card. 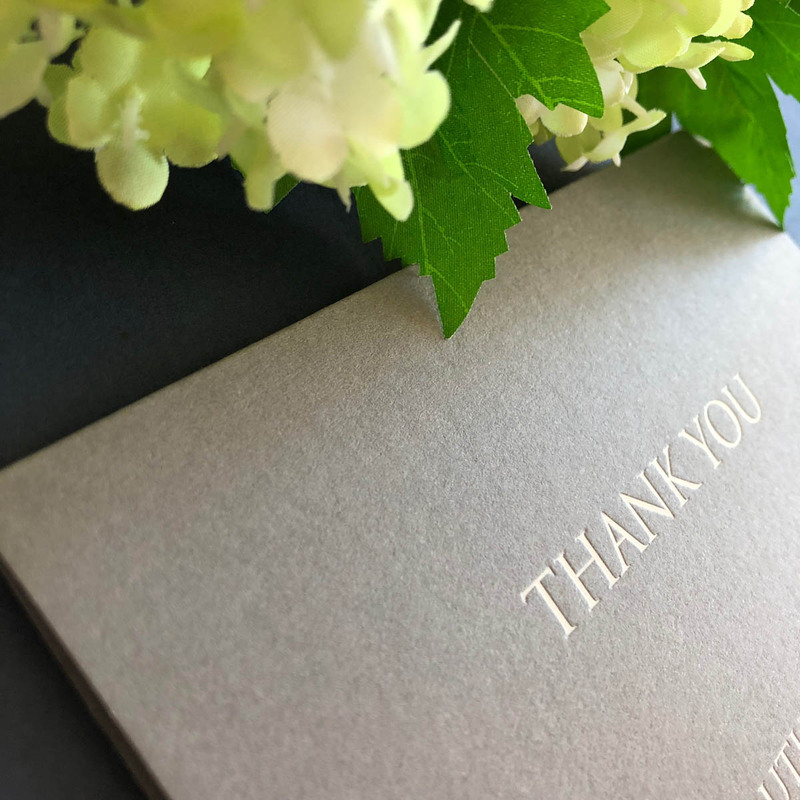 Maybe you need a card to thank your guests for their gift and presence at your wedding. Or perhaps you would just like to have some personalised cards on hand to thank those for something special. Remember, you can personalise it however you wish. 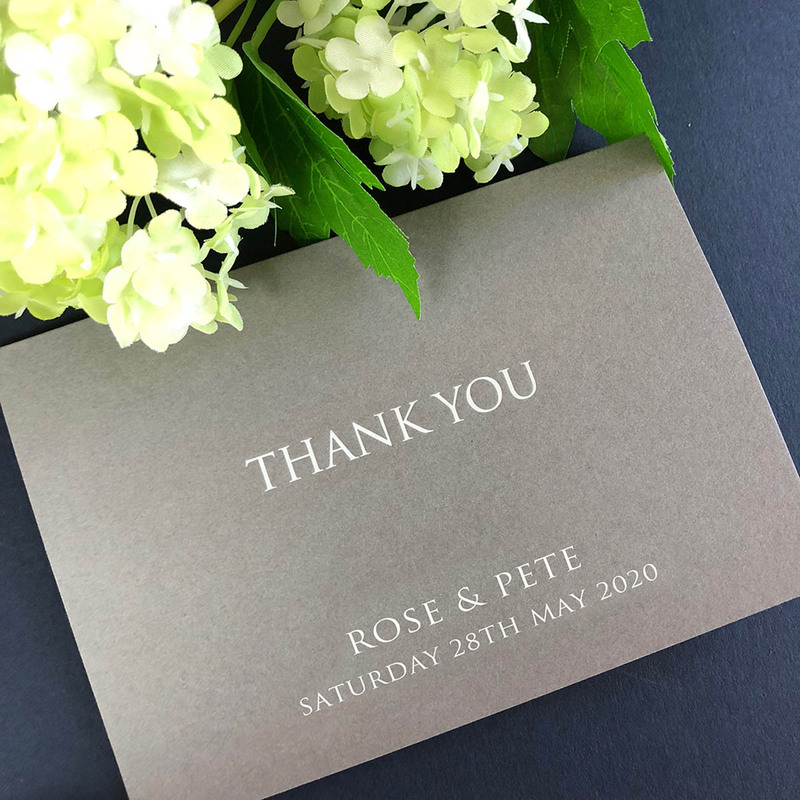 All cards come with matching envelopes, to which you can always add a coordinating tissue lining if you desire a more luxurious look. 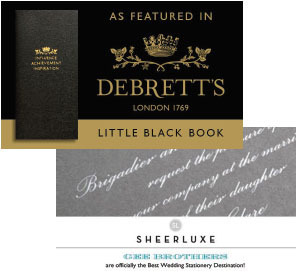 Of course, if you would like to use a different colour card or ink, please contact us to discuss.